Marriage is a big deal in all societies and its significance cuts across culture, ethnicity, and race. Aside from the fact that you have to find someone compatible to live with for the rest of one’s life, there are so many factors that come to play for a marriage to be successful. 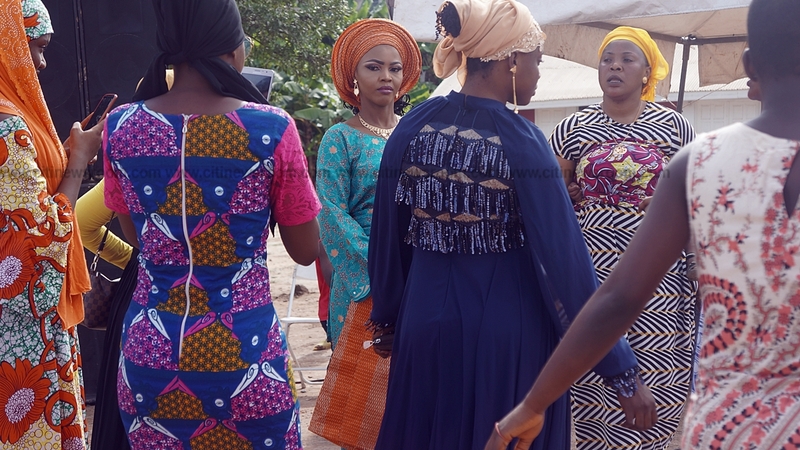 Being accepted by your partner’s family, bride price, the price of the whole ceremony, the kind of family one comes from, whether rich or poor and whether your family has a reputable name or not, religious beliefs, morality and family customs are all to be looked at and considered. Now in a typical Zongo community in Ghana, Marriage is a different ball game altogether. As a woman, you are considered lucky when you get to choose your significant other, if you are not, you end up with someone picked for you by your parents. Many Muslims girls don’t have the luxury of picking their significant other by themselves. You are probably saying to yourself, “In this 21st century?” Yes, it still happens. A Muslim woman’s significant other is chosen based on the status of his family, – the name and wealth, does he have enough money to take care of the woman? And does he have enough for it to trickle down her family if the family isn’t stable financially? Sometime back in the Zongo community, a ‘borga’ was the ultimate option for many women. If you don’t know what a ‘borga’ is, don’t worry, we will get into it in the next line. A ‘borga’ is a name or slang used in Ghana to describe someone who stays and works abroad and comes home occasionally to see family and lavish his hard earned dollars, pounds or euros from whatever job he acquired in his search for a pasture that’s not always greener. A ‘borga’ marriage happens in two ways – the first scenario, a ‘borga’ feels it’s time he settles down, he calls his family back home to find him a wife. His family looks around and finds him what they consider a decent wife. A Muslim bride during her marriage ceremony – Not a ‘Borga’ marriage. Numbers are exchanged, the two parties start communicating because communication is critical to every relationship; and also in this instance, that’s the best option due to distance. The ‘borga’ comes to Home (Ghana), the marriage ceremony happens, the ‘borga’ is in town for at most three months, and goes back abroad to continue with his hustle. The second scenario, the borga sends word home that he needs a wife, his family finds him a wife, both parties get talking, and before you know it, a marriage ceremony is underway. But in this case, the groom is represented by a family member. As compensation for marrying a ‘borga,’ the wife gets to live in a big beautiful house, gets a monthly allowance for upkeep and a car if the ‘borga’ happens to be very rich. Most of the parents who give away their wards to the ‘borgas’ do it out of convenience for their wards and gains for themselves, because some of the dollars, pounds, and euros would inevitably trickle down to them. With the availability of the dollars, pounds or euros, it is way easier for a ‘borga’ to get a wife as compared to a young man who is in Ghana working hard to save up money to marry his sweetheart. “A friend of mine lost his girlfriend of seven years he had plans of marrying, to a ‘borga,’ he was devastated but what could he have done, he is not a ‘borga’ he said. Ali said he was not surprised because he knows that’s how it is in the Zongo community. But the flip side to a ‘borga’ marriage is the loneliness, and the inability to satisfy sexual desire whenever you want to because you are married. Ali is not in support of a ‘borga’ marriage, and will never allow his sister to marry a ‘borga’ because he is of the view that married couples are supposed to live together. In Islam, the ‘sadaki’ which is the bride’s dowry is most preferred to be as low as possible, because according to Islamic teachings, the lesser the amount paid, the more blessings the marriage would be blessed with. Mohammed Bashir has been married for two years, and he is of the notion that ‘borgas’ are to blame for how expensive the ‘sadaki’ has become. It took Mohammed one year three months to marry his wife, because one of the auntie’s of his wife, wanted her to marry a ‘borga’ because he [Mohammed] was not rich enough. “There was a recent case where a ‘borga’ who is a friend to my elder brother got cheated on by his wife. Most of these women invite a man over to their house and do what they have to do to feel good,” he said. 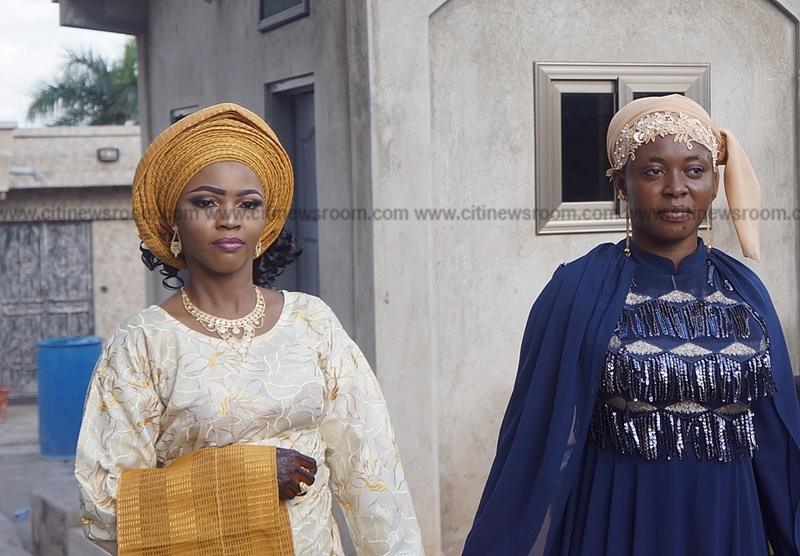 Riam, who grew up in a Zongo community said she had been a witness to several ‘borga’ marriages that ended because the women couldn’t wait anymore or the women were bored out of their minds. “I know a lady, her husband is a ‘borga,’ he gives her everything but for more than two years, he hadn’t been home, there was no child to keep her company, so she started seeing her ex-boyfriend while her husband was away. She was later caught with her ex-boyfriend. Her husband was willing to take her back because he somehow understood why she might have done what she did, but she didn’t want the marriage anymore,” Riam said. 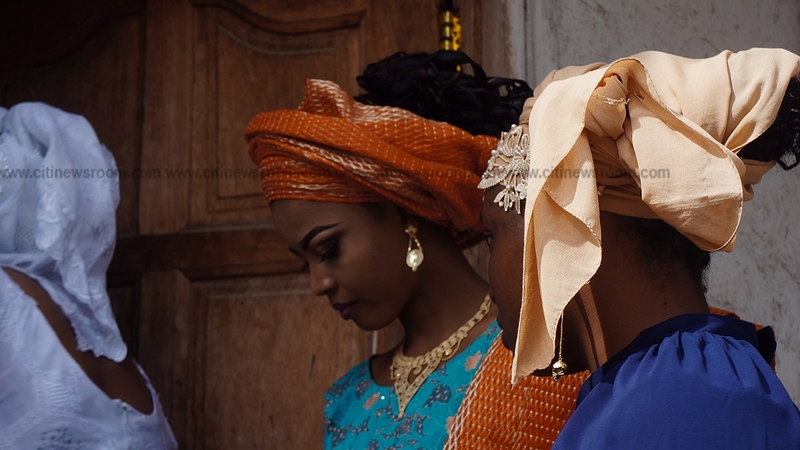 But not all girls or women in the Zongo community want a ‘borga’ marriage, some just want someone who is always around, who has enough to sustain their marriage. Amina wants to marry a tall, handsome Muslim man; he doesn’t have to be super rich, as long as their family doesn’t starve, she is alright. She won’t marry a ‘borga’, but if it happens that he is willing to take her abroad for them to live together and build a family, she won’t mind settling on a ‘borga’. “I will feel comfortable if the man I am married to lives with me. I won’t marry someone who has all the money, who will marry me and leave me here and go and live his life abroad, no. I will rather marry someone who has enough that I will see every day. That will make me happy,” she said. She explained that most of the girls who marry these ‘borgas’ do it out of societal pressure and for the love of vanity because half of these girls don’t even know what their ‘borgas’ do abroad. She also attests to the fact that most women married to ‘borgas’ have extra-marital affairs. The last girl I interacted with was quite a character, funny one; she said she could not marry a ‘borga’ because she cannot afford to remain a virgin after she is married. She stated that it’s quite easy for girls who were forced into a ‘borga’ marriage to cheat on their ‘borga’ husbands than someone who willingly got herself into a ‘borga’ marriage situation. ‘Borga’ marriages, which cuts across many groups in Ghana and not just in the zongos, are not as big as they were some ten years ago, because too many horrifying tales are now associated with it, but it is still happening.